Our renowned knowledge and experience in Live broadcasting has given us the opportunity to work with the biggest TV networks. We provide all the broadcast facilities from individual and team sports, to concerts and international political events in South East Europe. 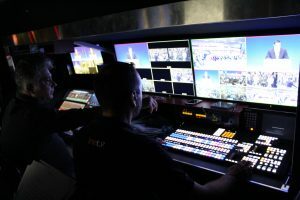 Our OB Van and Production trucks, along with our team of professional technicians can cover your multiple camera events at the highest desirable level, delivering excellent quality of services. 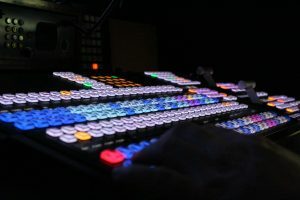 We can offer our clients fully equipped Live studio productions from a single camera interview to multi-camera studio productions.